Later this month we'll be celebrating Thanksgiving, and for many people the Thanksgiving week is a time to sit back and reflect on all of the blessings that we've been given throughout the year. For some the week is about getting together with family and enjoying all of the good food. For others, however, Thanksgiving week is all about gearing up to go out and go shopping on Black Friday, or Cyber Monday. I don't usually go out on Black Friday, but I'm never one to say never when it comes to finding a deal. There have been several years where I have gone out on Black Friday, with mixed results. In years where I planned ahead, knew exactly what I wanted, and got to the store plenty early, I didn't have any issues. In years where I just decided last minute to show up and see if I could get a deal – it didn't work out well at all. So today I want to go over a few Black Friday shopping tips, and look at some things you can do to prepare for the hottest shopping weekend of the year. Cyber Monday Is Great For Deals Too! One of the biggest mistakes I've made when shopping on Black Friday was to not really make a plan ahead of time, and to just wing it when it came to getting a deal on the items I was shopping for. When I showed up at the store trying to get a deal, it was a complete mess. I didn't know where the item I was looking for was going to be, others had showed up way before I did and the store in general was much busier than I had anticipated. Here's a video looking at my experience and the madness that ensued at Wal-Mart that night. So as you can see it was complete madness and mayhem. I hadn't planned ahead, and it was obvious others had. I saw one family talking on walkie-talkies, coordinating their battle plan! As mentioned above it's a good idea to plan ahead and to research all of the Black Friday sales ahead of time. Track down and find the best deals on the items that you need. This “most wanted” list from gottadeal.com – will give you an idea of what items are most wanted at each store. Using that information you can prioritize you list and make a battle plan. time, and making a battle plan for where you're going to go, and what you're going to get. Make a list in the order of importance: Make a list of things you were planning to buy this year anyway, and then prioritize them in the order that you want them the most – so you can make sure to go and wait in line for those items first. Make a budget and save up the cash: Make a spending budget for the day, and save up the cash ahead of time to pay for all your purchases. Don't spend more than you had planned! 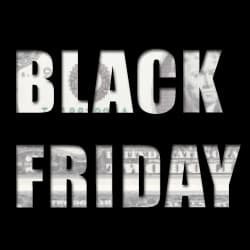 See if the item is available online too: Some stores will have Black Friday deals on their websites as well, so if you can get the deal online and avoid the store, go for it! Go on a reconnaissance mission: If you're looking for an item that's going to be extremely popular, you may even want to go to the store ahead of time and scout out the location of the item so you know where to go. Be careful, however, as some stores will place Black Friday deals throughout the store, so make sure to get that store's Black Friday sales plan layout. Go with a friend.. or two: If you're looking for more than one big ticket item, you may want to go to the store with the friend so you can wait in separate lines and get both of the items you wanted. Figure out if you need a voucher for big items: Some stores will hand out vouchers to people in line for more popular or big ticket items to avoid a scramble once the doors open. Find out if your items need a voucher at that store, and if so, make sure to be in line super early. So start planning for your big shopping day today, and you'll be sure to get the deals that you wanted and save on your Christmas shopping, unlike those poor slobs like me who just show up! If you don't get the deal you wanted on Black Friday, don't worry. Cyber Monday – the Monday after Black Friday – also has a ton of great deals, mainly at online stores. Checking the sites linked above will also give you access to a lot of the best online deals to be found then. Also, remember that while Black Friday has a lot of hype surrounding it, it isn't always the best time to buy certain items. When you do finally get around to buying the things you want, make sure you're taking advantage of all available discounts to get the best possible deal! Also, remember, you can always go the route of buying or making frugal Christmas gifts for your family as well! 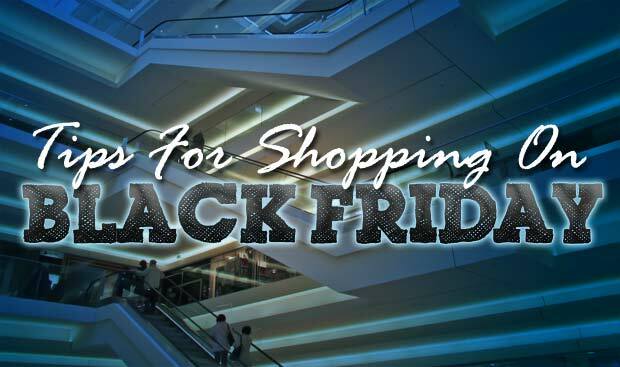 Have your own Black Friday shopping tips? Tell us what they are in the comments! I think the most important way when shopping not only on Black Friday is planning ahead. It helps you decided which things are worthy to be purchased. It disciplined you when it comes to spending your hard-earned money.